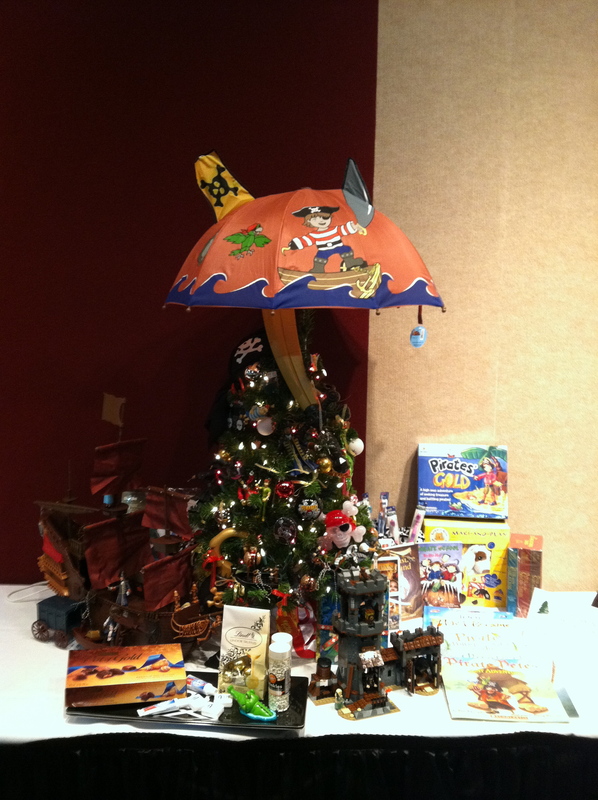 For the last few years, I have decorated a table top tree for the Intermountain Children’s Festival of Trees fundraiser. I collect everything throughout the year to get it on discount and I spend about a week or two figuring it out. 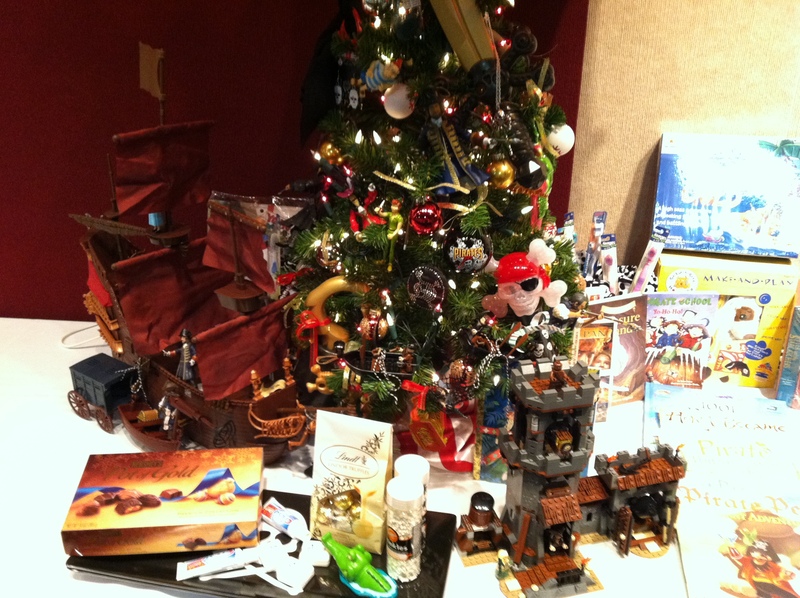 It included Legos, a pirate ship, pirates, books, DVD’s, games, tattoos, skull and crossbone jewelry and Hershey’s Pot of Gold. I also ordered a really cool Pirate stocking from Amazon, but it came in a kit. It didn’t say on the ad I would have to make it. Jerks. It's entered under my husband's office so I always have toothbrushes. The tree sold for $475. Someone in Montana really likes pirates. Johnny Depp was hiding somewhere in that ensemble, wasn’t he? He did wonders for the Pirate image. Now, if they would only brush those nasty teeth! I wanted Johnny to be a part of the tree, but I’ve misplaced his number.